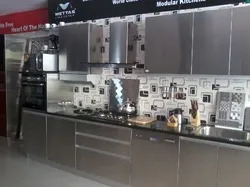 Established in the year 2003, at New Delhi,India, we,“Gyan Overseas,”are one of the leading manufacturing & exporting of a comprehensive assortment of Modular Kitchen & Accessories. We procure optimum grade raw material from the authentic vendors of the market to manufacture our products. We export our products all over the world. We are empowered by a state-of-the-art infrastructure for bringing forth an immaculate quality range of products.Our infrastructure is geared with the most-advanced machines and modern technology to fulfill the large-scale,urgent and customized orders of our clients.The installed machinery is cleaned and lubricated at regular basis to ensure that no obstruction occurs during the entire production process.We have segregated this facility into varied departments of procurement,designing, manufacturing,research & development, quality-testing, etc.for systematic and hassle-free flow of work.A pool of highly qualified and experienced professionals is hired to supervise and manage the allied processes of these departments.Our industry experts are well-versed with the current trends prevailing in the market and leave no stone unturned to ensure that the products are manufactured in accordance with the same.They also work in harmonization with each other for the achievement of the predefined objectives of the organization.Due to their dedication,hard work and passion towards work, we have been able to witness the pinnacle of success in the industry.Also,our entire team undergoes crucial training sessions and seminars at regular intervals in order to maintain pace with the rising demands of both the domestic and international markets.Our adept team of quality controllers pays paramount attention to inspect each and every product before its delivery at the client’s end.They also keep a strict vigil at all stages of the manufacturing process in order to ensure that the finished products devoid of all kinds of flaws and discrepancies. Under the notable guidance of our mentor,“Mr. Amit Maheshwari ”,we have achieved a remarkable position in the market.Our spacious warehousing facility provides us ample amount of space to safely store the products in bulk quantity before their delivery. This is manned and supervised by our competent team of store keepers,who direct their best efforts to ensure that the products are protected from all kinds of damages. 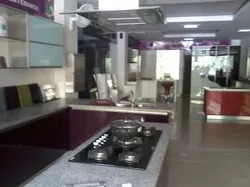 Also, we have managed to attain complete client satisfaction by offering them customized products, ollowing ethical business practices and delivering consignments in a timely manner.Moreover,we also ensure that the offered products are available to clients in a timely manner.With all these client centric aspects,we have garnered a spread out client base and have attained complete customer satisfaction. We have established a well-equipped infrastructural facility that helps us provide our clients a wide range of Modular Kitchen. This facility is equipped with requisite technologically advanced and sophisticated machines that help in fabricating the offered products. We are able to effectively fulfill the requirements of our clients and meeting their bulk requirements in a stipulated time frame with utmost ease. We continuously upgrade our tools and machines & incorporate the latest developments to be abreast of the technological advancements in the industry. Stainless Steel products saves greenery since you are avoiding cutting of trees for your modular products hence your Stainless Steel kitchen, vanity & wardrobes are environmental friendly. Stainless steel cabinets resist stains, germ and bacteria growth, but must be cleaned periodically. Stainless steel cabinets are corrosion resistant & durable for generations. Stainless steel cabinets are Non-Combustible (flame proof). Floods, smoke, termites, or temperature and humidity extremes will not affect the appearance or functionality of a stainless steel cabinet. Stainless steel cabinets take the beauty and benefits beyond the front of the appliance to create a distinctive look in the entire products or simply as accents. Some think stainless is essential for a "serious" kitchen. Reflects light and creates the illusion of a larger space. A well-maintained stainless steel products can last for several decades before requiring servicing or can be powder coated in various colours. Even if discarded after a few years of use it can be recycled hence what initially invested you get back. Your background is not a limitation. The opportunities are endless if you have the right aptitude. In fact the whole environment is designed in such a way as to empower you to achieve your ambitions. With leadership building programmes a cross-learning environment and multi-faceted job exposures. Who are forward thinking, resourceful, creative go-getters and believe that they can lead the organization to realize it's philosophy and deliver on its commitments are the kind of people we are looking for. Because at METTAS this is not just about a job opportunity – this is about desire to prove your self, passion to succeed and above all the dedication to see it through and not give up. But it is not all work and no play – we in fact encourage our people to practice as hard as they work and compensations and benefits packages are the best in the industry. At METTAS you will get a high growth rate, employee oriented environment and multifaceted opportunities for growth and development.